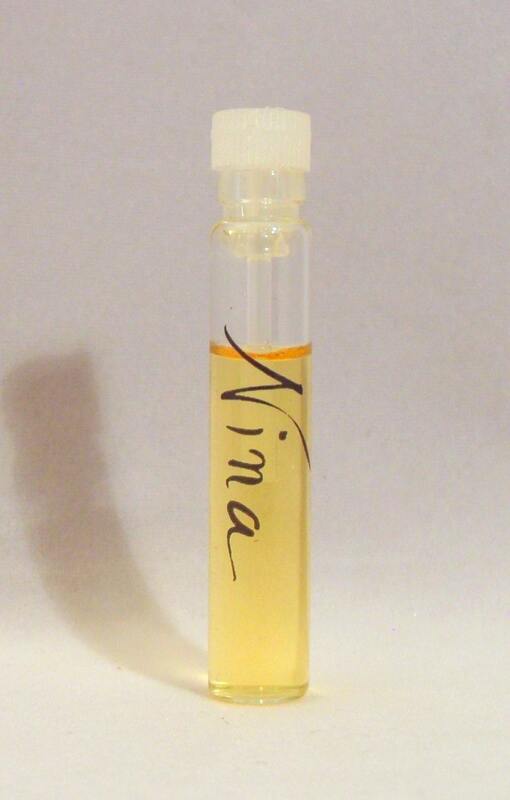 Vintage 1980s Nina by Nina Ricci Perfume Splash Manufacturer's Sample Vial. No card or box. The vial measures just over 1 3/4" long. This is the original Nina by Nina Ricci, not the 2007 version which is not the same. It is classified as an aldehydic floral woody fragrance for women.